The following elements represent the practice of conservation landscaping. By implementing these practices, you can contribute to the restoration of the Chesapeake Bay watershed and improve the region’s water and air quality. 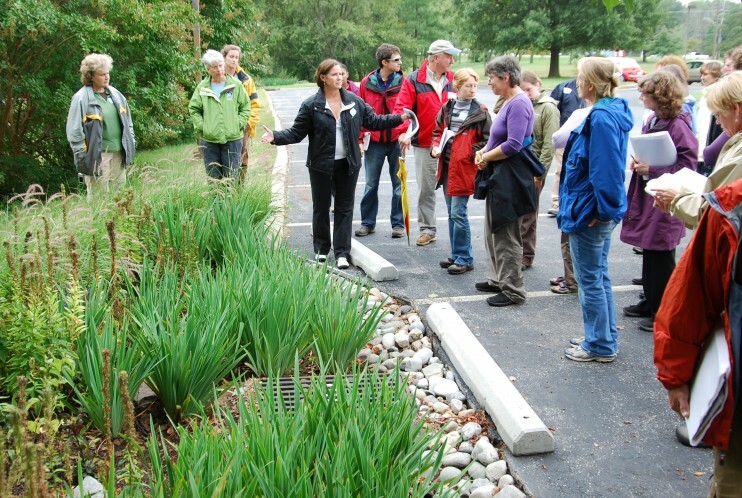 Incorporate as many of these elements as possible into your landscape, to benefit all life in our watershed. Is managed to conserve energy, reduce waste, and eliminate or minimize the use of pesticides and fertilizers. Conservation landscaping at the Heritage Baptist Church in Annapolis, MD. You may order print copies of Conservation Landscaping Guidelines for a small fee.